Scrap Metal Toowoomba. Mobile Merchants. We pay CASH onsite! Amalgamated Scrap Metal are a family business and that means you will be doing business with friendly people who provide a Toowooomba Scrap Metal service. We are always happy to serve the people of Toowoomba and pay for your Scrap on site. We come to you as we are a mobile scrap metal service. We are always happy to tell what can make you money and what will not make you money. We offer free guidance on current laws and regulations governing scrap metal business. We are genuine in our dealings with you, for us it is all about protecting our family name, not just making a quick buck. Do you have old metallic items lying around? At Amalgamated Scrap Metal, we deal in scrap metal. If you have metal items made of copper, brass, and stainless steel, you need to call us. We also buy electric motors and radiators as scrap metal. As a scrap metal business, we help you to recycle those old items and pay you in the process. We do NOT purchase aluminium, steel, or car bodies/parts. When you recycle scrap metal, you aren’t just benefiting yourself as an individual or us as a scrap metal business. You are doing a lot more for the environment and for humanity. Mining and process metals from virgin ores costs a lot of money and resources that are scarce. On the other recycling scrap metal costs only a small fraction of funds and resources need to mine and process metals from virgin ores. It for example takes 90% more energy to mine copper from a virgin ore than it takes to recycle copper scrap metals. Saving that amount of energy also means that we are cutting carbon emissions by the same percentage. Recycling therefore helps to lower the emission of greenhouse gasses, and save limited funds for other development projects. Moreover, the earth's crust is left intact, which means no destruction of forest covers, or creating large manmade craters that aren't inhabitable. Recycling scrap metal also means we don't have to create landfills that take valuable land which will be needed to support future generations. Other major issues that are of concern when it comes to landfills is the eyesore they create. If use of idle land for landfills becomes a global trend, we cannot guarantee that unscrupulous business will not dump toxic chemical along with other biodegradable wastes. Overall, the less mining we do and concentrate of recycling scrap metals, the less damage we do to our natural environment. When you contact Amalgamated scrap metal, you get served by friendly staff who value family values and appreciate the value of a friendly chat. They check your scrap metal and explain every detail regarding the pricing and recycling process. You won't feel as if you are being dragged through dome form of bureaucracy. Amalgamated scrap metal prides itself in being reliable, friendly, and trustworthy. 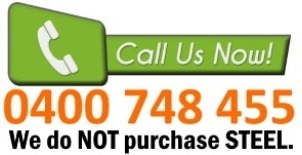 You can count on us to do the right thing when you call us to buy your scrap metal. We will give you an accurate measurement of its weight and compensate you using our competitive market rates. As a family business, we count friendliness as one of the most important values when hiring our staff. You can trust us to do everything that a professional company does to its clients, but with the additional advantage of dealing with our friendly staff. Our staff will take their time to address any concerns you may have and leave you satisfied with our service. We do that because we know that our business relies on the goodwill if our past, present, and future customers. We are licensed second hand scrap metal dealers. For you, that means you don't have to worry about laws and rules governing recycling of scrap metals. Our staff know what the law requires to carry out the whole process safely and successful. We as second hand licensed dealers, our job is to make the scrap metal recycling process above board and smooth as possible for our clients. You don't have to incur any transportation costs because our scrap metal business is mobile. We come to you, collect the scrap metal from your premises and take it to recycling facilities. You won't bear any transportation costs because it’s part of our business operational costs. At Amalgamated scrap metal, we believe that you need to be compensated as fast as possible so that you can go back to your core business and duties. To help you do that, we have made it our policy to compensate our clients with cash on site. It's one of the reasons that most clients selling their scrap metal contact us first. Moreover, the whole process is quite simple; you call us, we come t your premises and identify your scrap metal as being what we deal with, and then we weight it. Once you are satisfied that it's the right weight, we then pay you and carry the scrap metal to our transportation truck. When we leave your premises with the scrap metal, we leave you a satisfied customer, having paid you in cash. We are all used to recycling of plastic and waste paper. However, scrap metals can be recycled as well. When you recycle scrap metal, you reduce the load on landfills, minimize the destruction of habitats that occurs when new metal are being mined, and lower the carbon footprint that is generated when refining the mined metal ores. In addition to increasing the supply of metal, you also get to make additional money from the sale of the scrap metal. Scrap metal is not a waste or burden, it is a resource that can be reused continuously. When you recycle metals, 36 more jobs are created in contrast to sending the scrap metal to an incinerator. Recycling metal also creates six times more jobs than when the same amount of scrap metal is sent to be dumped in a landfill. Overall, recycling scrap metal helps to solve the global warming and the unemployment problem, it does not make it worse. Recycling metal enables you to assist in preserving our natural resources. For instance, when you recycle metal, it allows you to use fewer resources in your house such as bin bags. Another reason why it's important to recycle metal is that you reduce carbon emissions that result in global warming. It means that in a small way, you minimize pollution levels in our atmosphere. Recycling metal enables you to reduce the need to mine natural resources such as ore. Bear in mind that the process of mining ore, shaping and purifying it requires lots of energy when you compare to recycling metal. By choosing to recycle metal, you enable the government to save money that it uses to improve other features of the economy. For instance, it provides businesses with value-added loans, which means more people get jobs. Recycling your scrap metal enables you to contribute to the reduction of the cost of manufacturing items that need metal containers. It means that you benefit when buying items such as canned foods, which are packed in metal containers. When choosing the best scrap metal dealers, make sure that you consider how sophisticated their equipment and weighing scales are. At Amalgamated Scrap Metal, we offer you weighing truck scales and advanced technology when it comes to pricing. The result is that you get an efficient process that provides with the best prices. We offer specials and excellent pricing to our customers. It means that by choosing to sell your scrap metal to us, what you’ll get in the long-term are benefits in tier specials and pricing for materials such as stainless, copper, copper electric cable, radiators, brass and electric motors. Remember that we're a family owned business that values long-term business relationships. Consider mobile scrap metal dealers. The reason is that the main reason you're selling scrap metal is to earn money and conserve the environment. Dealing with Amalgamated Scrap Metal Buyers enables you to save on fuel costs and driving time since we're mobile. You are free to give a call any time if you are in doubt whether the item you want to scrap is made of the metal we deal in or not. We provide a superior Toowoomba Scrap Metal service for businesses in the Toowoomba Region. Sometimes it is easy to confuse a metal alloy with other metals such as copper from bronze. Just give us a call and we can help you identify the metal. At Amalgamated Scrap Metal, we ensure that we provide you with the best scrap metal prices and excellent customer care service. We use the latest weighing equipment, which ensures that your copper, copper electric cable, brass, radiators, electric motors and stainless are weighed fast. Another factor to remember is that we're mobile, which means quick responses to your calls. Contact us today for the best quotes on the market right now. We can also come to you and help you determine the value of all the qualifying scrap metal items.